Bowling is a game with a very ancient history, which from ancient Egypt, passing through the Roman legionaries and the English lords, and from ecclesiastical rituals to the entertainment of Martin Luther, comes down to us, with its tradition and its stories. It’s a game with very specific rules, but open to everyone and its fundamental elements in the bowl, in the track and in the skittles. The roots of bowling are ancient and date back to ancient Egypt. An archaeological research has allowed finding the rest of one of the first game balls, datable to 3200 BC, composed of cereals, covered with leather and held together by ropes of various kinds. Other research has revealed the use of additional balls, in porcelain, indicating an evolution of the game that continues in our times: the balls in question, as opposed to the less smooth ones made of cereals, could in fact slip on the pitch, instead of being thrown directly against the skittles. The history of bowling seems to branch out to the Anatolian regions where the Lydians, a population of the 7th century BC, according to the texts of Herodotus, practiced bowling in ways unknown to us. It follows, in chronological order, the bowling game played by the Roman legionaries, which will turn into what is today the game of bowls: the legionnaires throwing balls of stone as close as possible to the other stones positioned at a certain distance. A strange mystical-religious declination of the game of bowling will take place in Germany in the 4th century AD. Here, in churches with smooth floors, a bowl thrown by the players – players so to speak, since the game was actually a sort of purifying ritual – had to slide to reach and drop skittles of demonic form . The true success of bowling will only take place in the early Middle Ages, in Germany and in England. Here, in fact, was built the oldest and still in use hall dedicated to the game, in Southampton, in 1299. A few decades later, the success of the game will reach the court of King Edward III: right during his reign, since bowling had spread to the detriment of archery practice, King Edward III will officially ban it with a document from 1366 – a document that mentions bowling for the first time. The imposed gaming ban by the king will not have the desired effects and a few generations later King Henry VIII was so passionate about the game so to prohibit it to the lower classes in order to freely dispose together with the aristocracy class of the available playgrounds. Bowling spread in Europe in just a few years and illustrious exponents of that time, from Francis Drake to Luther, had the pleasure of performing in public and private competitions. Luther, the architect of the Protestant reform, in 1520 was perhaps the greatest of the amateurs: in addition to personally building playgrounds, he also tried to definitively establish the number of 9 skittles – until then the number ranged from 3 to 17.However, it took centuries before bowling had an official systematization, a standardized regulation. We are in 1895 in New York and on the 9th of September of that year the American Bowling Congress wrote the official rules of the game, with precise information about the weights of the bowls and the exact number of skittles to knock down. 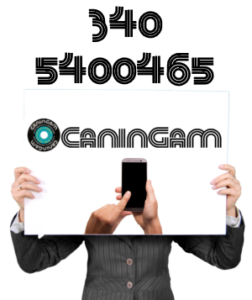 Maybe the charm of that era will never come back, but at least for a particular event of your life, a birthday, a wedding, a party, theme parties, we at Caningam could make you recall that beauty, let you breathe again what you can no longer find anywhere else.